The Paris Curling Club is fortunate enough to have an entire team of top ice makers. These Ice Makers take great pride in our ice and we will be showing our appreciation. Ice is in! 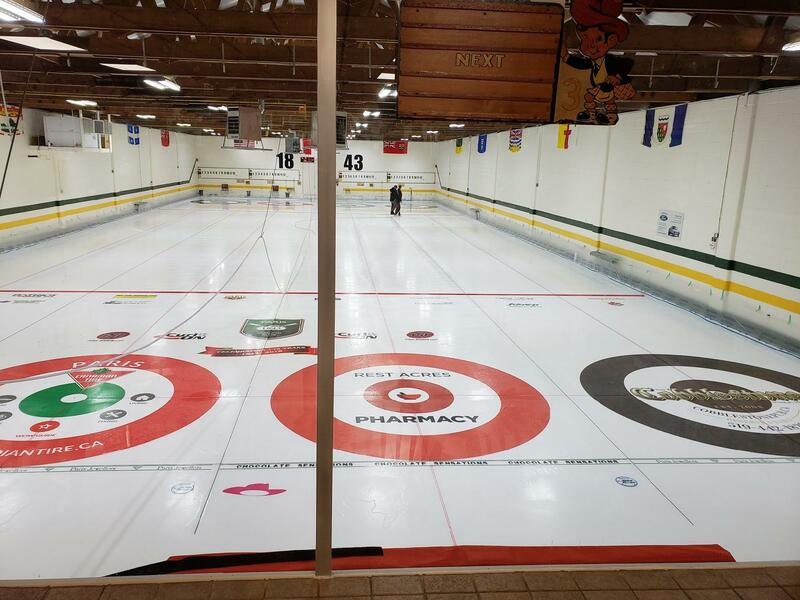 - Curling starts October 28! 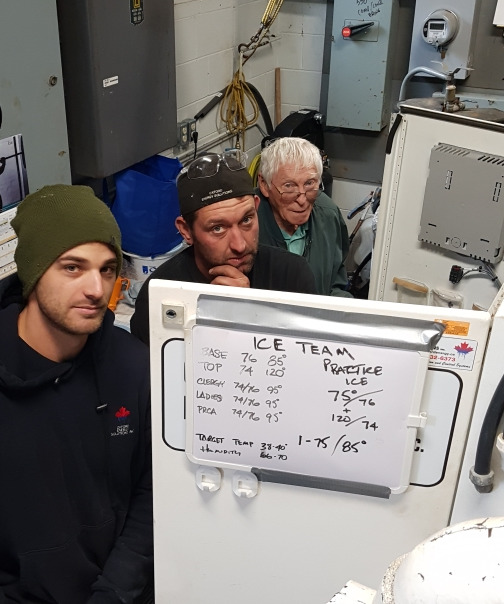 Thanks to Ben and Nate from Oxford Energy for their tireless work that now see three new compressors up and running as of Friday, October 19th. 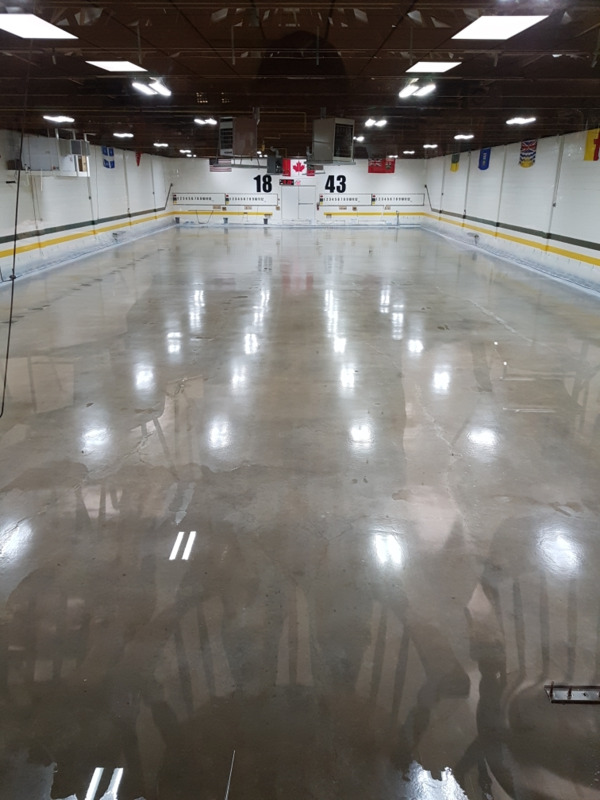 Rob McDannold and the Ice Team have been great through this process but also wanted to pass on their thanks to our Building and Grounds guy and the Ice Chairman, Bob Perley for his support and efforts on this project! 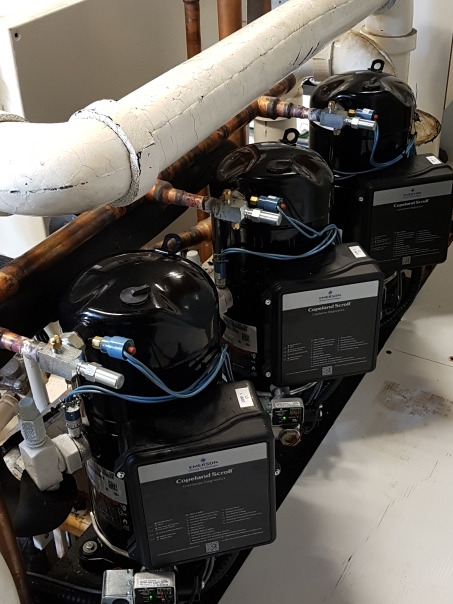 Rob, BoB, or anyone from the Ice Team can fill members in on the details, but it was decided after our one big, screw compressor broke down to install three new, smaller scroll compressors. This will be more energy efficient and allow for the load to be shared during high needs times (i.e. during a flood/freeze) but during most of the season we will only need one to run to retain the temperature on the ice. As well, in the future, if one breaks then only one needs to be replaced (aka cheaper for any future fixes), and we will not be shut down to one going down because there are still two others to run the load.